This week’s edges are interesting to work. 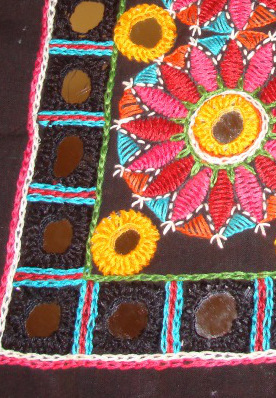 The first edge can be used for kutchwork border. Will make a delightful edge. 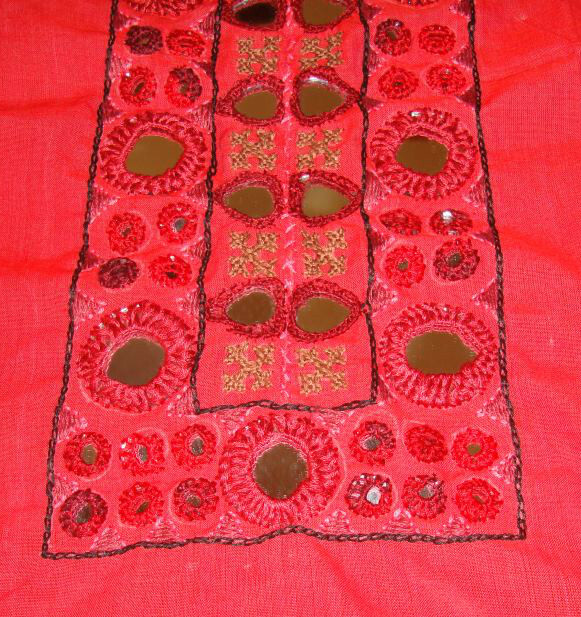 The kutchwork ideas are kept at a bay for the past few weeks. 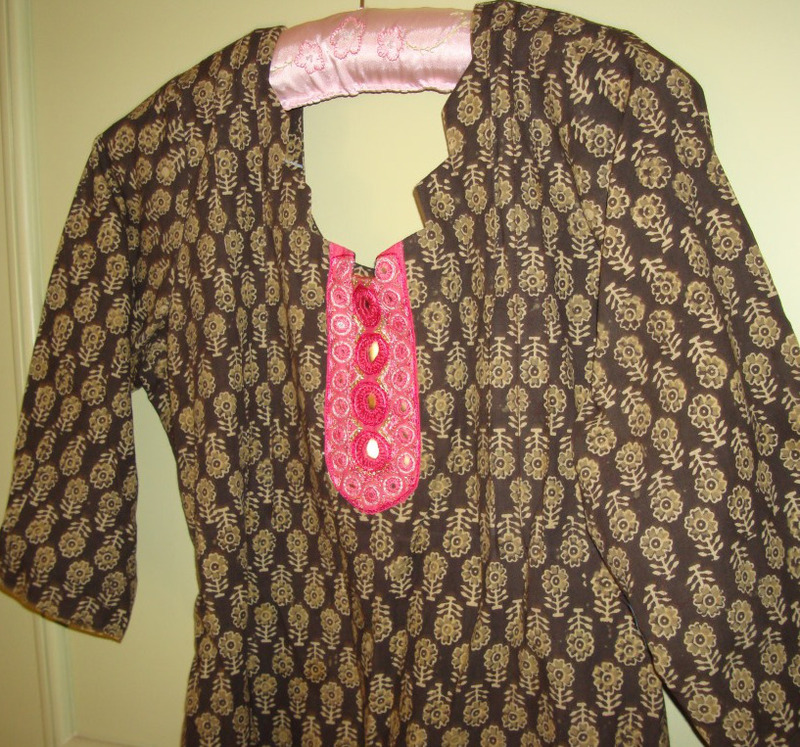 The embroidery on tunics are taking up most of the time. 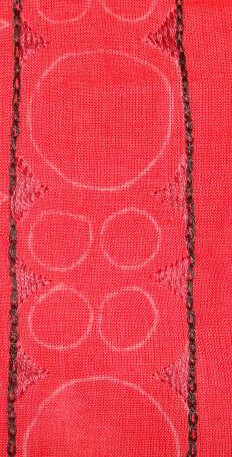 The free patterns for these edges are available here. There is a variation on this week’s edges. 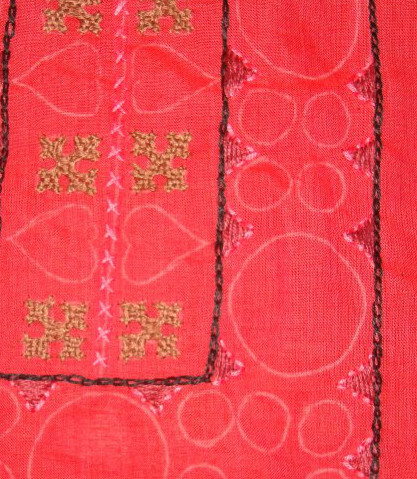 The second edge is worked in Algerian eye stitch. The free graph for these edges are here. 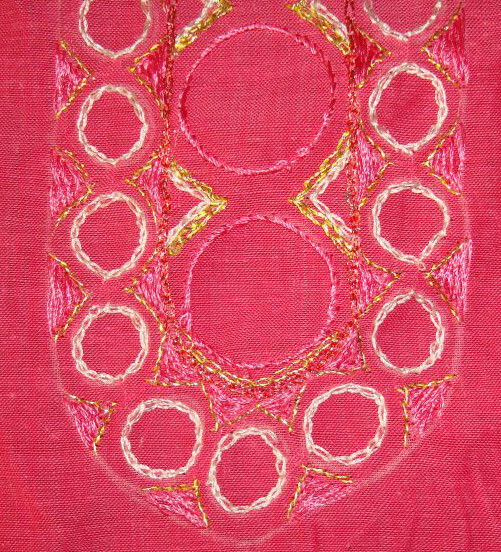 When working this Algerian eye stitch, I remembered about kasuti embroidery. 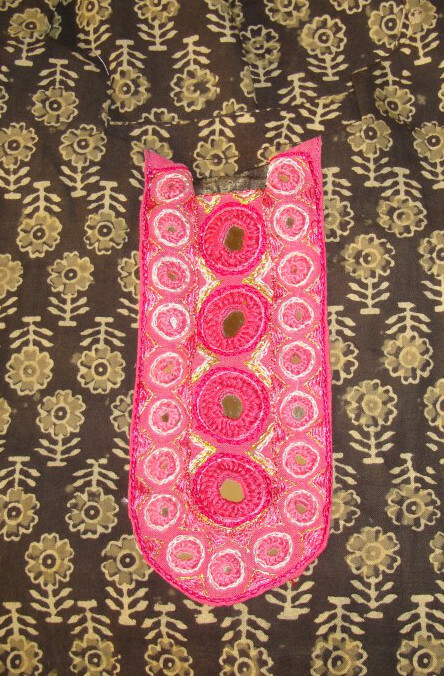 This embroidery which is worked mainly in double running stitch, is from Karnataka, India. 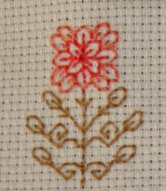 There are many aspects, regarding the origin, region, types, stitches, names, uses of this embroidery. 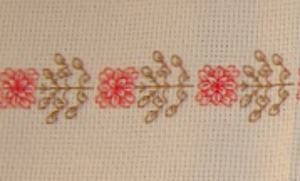 This particular stitch is worked as a design in double running stitch, which results in the right and the reverse side of the embroidery being the same. I tried working this edge with this idea in mind. 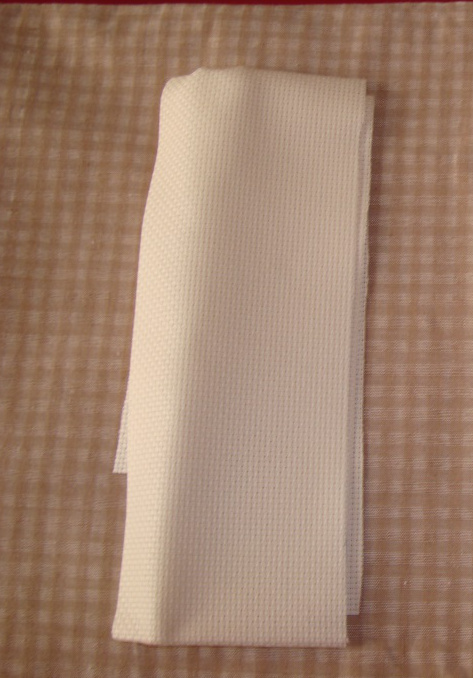 So, the wrong side of this edge which looks like a mirror image of the original one excluding the knots, of course! That problem has to be tackled when working on kasuti embroidery. it was quite interesting to work this edge. The second colour takes over this week on randje per week challenge. 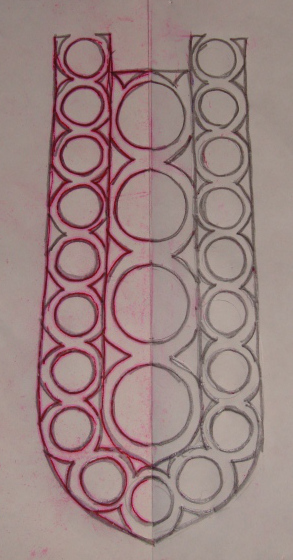 I started the edges with second colour and followed with the first colour. 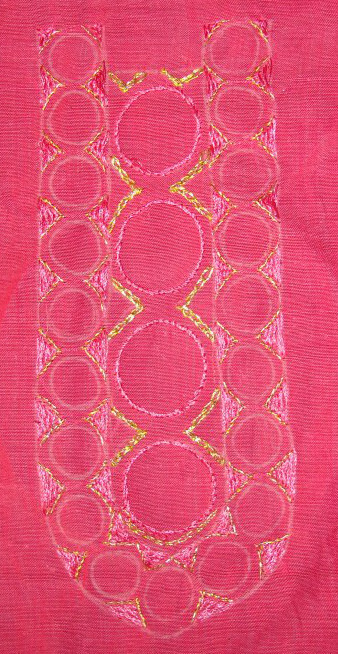 The edges look brighter now on this bright yellow handloom matti cloth. The free graph is here.